EX CELEBRITY COUPLES THAT SHOULD GET BACK TOGETHER | RAWR BOWS. Hello! I am quite a curious person (which is just a nice way to say I am nosy), meaning that I tend to keep up to date with my favourite celebrities' lives including relationships. Because I follow their life through social media and other sources of information I can get quite emotionally involved with their relationships and the choices they make. Sometimes I am absolutely furious, like when Selena got back together with Justin, and sometimes I could cry tears of happiness, like when Ian Somerhalder and Nikki Reed got married. Today I am going share with you a few couples that were together and should still be together. I am sure some of you will share my pain. EMMA STONE AND ANDREW GARFIELD. Someone please tell me this is a nightmare. They were literally the cutest (and hottest) couple and I am 100% sure I am not the only one who wishes they got back together. DEMI LOVATO AND JOE JONAS. Weren't they lovely? Well, let's forget about all the drama that led to their break up but weren't they lovely? 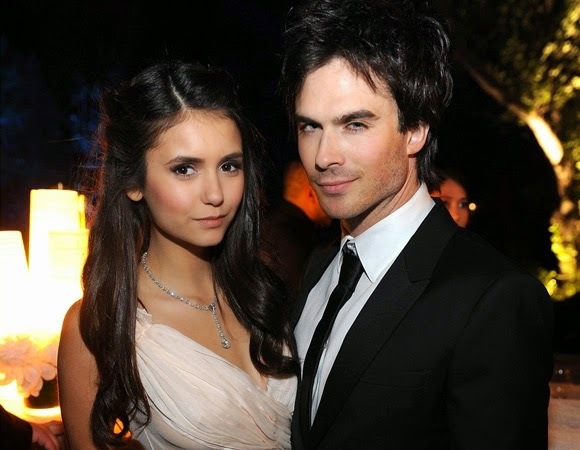 NINA DOBREV AND IAN SOMERHALDER. I know I said I was happy about Ian and Nikki, and I am. But that doesn't mean I wouldn't love seeing Ian and Nina back together. They were such a perfect couple! Also, seeing them as Elena and Damon helped me loving them together even more. VANESSA HUDGENS AND ZAC EFRON. Why did they even break up? Someone please give me a valid reason because I am still in shock. After all these years? Yes. I fell in love with Gabriella and Troy Bolton (I mean, goals af) and I then fell in love with Vanessa an Zac so they getting back together (which seems very unlikely) would make my year. Who's your favourite celebrity couple?